Plants - Frequently asked plant related questions. Wondering which plants are best to grow in winter or what other plants grow well with Aloes? Hopefully some of our FAQ’s may answer all your plant related questions. How deep do I plant my seeds? 2 ½ times the size of the seed, alternatively, read the back of the packet. Can I plant roses in winter? Yes, the roots are dormant, they aren't disturbed as when the sap is rising, and they settle in before spring. Why do some of the leaves turn yellow? That is chlorosis, caused by a difficiency in the soil. Treat with phosphates, magnesium sulphate, iron. How difficult Bellis Perennis is to grow from seed? When should we plant mielies? Spring is a great time to plant mielies. How do I apply Lawn Dressing? How much? Lawn Dressing should be applied at the beginning of the growing season and (in South Africa) is typically applied during August & September. Kick start your dormant winter lawn by scarifying and spike rolling to improve aeration. Apply a topping of Earth2Earth weed free River Sand to level uneven areas. Follow up with an application of nitrogen rich fertilizer i.e. LAN, then cover with an even layer of Earth2Earth Lawn Dressing. Spread the Lawn Dressing evenly using the back of a steel rake, allowing the tops of your grass to show. 1 x 30dm bag covers 2 -2.5m2 Water thoroughly with a fine garden sprayer, after 2 weeks you can mow the lawn, stand back and admire a lush green carpet. Do Aloe barberiae grow into huge big trees? Aloe barberiae grow to approximately 12m tall and have an approximately spread of 4m. Which herbs are suitable for Durban's warm weather? I received a mandevilla creeper in late Autumn but decided to wait until September to put it into the ground. Unfortunately, it was a victim of frost recently. I have continued to water it even though all the leaves have dried up. Do you know if it is worth the effort? Will it grow back or should I put it in the compost heap? The Mandevilla creeper is best suited to the frost free climate – however if protection is provided (covering of the plant) in the colder areas should be encouraged; however as the plants mature, they do become a lot hardier to the cold! I would suggest it is still not to late to provide protection for the Mandeville as July is very cold and August has those biting winds. Please do NOT be tempted to cut back the plant at this stage, rather wait until mid-September to do so. Then all the cuttings from the plant can be added to your compost heap. My garden is green no other colour in there; I have big trees and very dense shade; How do I go about to bring colour into this shady environment? In a shady environment you could suggest (Annuals – new guinea impatiens, begonia’s, foxgloves, mimulus, or lobelia) and (Perennials – plectranthus, clivia’s, azaleas, viola’s or lamium ) I would introduce shade loving seedlings for your summer garden, examples would be: begnoia’s, impatiens or for something more permanent plants like plectranthus, fuchsia’s and azalea’s. However, do remember that feeding is most important in a shaded area, and if possible try and cut back some of the branches on the taller growing shrubs and trees. What will you suggest for clivias, what kind of ground, is compos alone needed? Clivias like a neutral soil so I would suggest to use only compost however I would suggest a regular feeding of 3.1.5. A further point to remember, when you water rather water deeply less often that a light sprinkling. Clivia’s like shaded conditions and well composted soil to grow in. It would be great to plant them with a bit of superphosphate or bone meal and give them a granular feeding of 515 or 315 in August just prior to their flowering season. I have planted Gerbera Daisy seed in pots and in the soil but they don't seem to be coming up? Is it just still too cold or what – as everything else has come up, so I am finding this really weird. Will they still come up? The best veggies to plant now are Rhubarb, Lettuce, Chives, Spring Onions and Onions, Oriental Veggies, Cabbage, Cauliflower, Spinach and Swiss Chard ... just to mention a few! I want to grow vegetables in a few containers as my garden is too small, but so far had very little success, even with carrots and beetroot. Onion seeds never seem to germinate. What am I doing wrong? Carrots are best grown in the ground unless they are in a large deep container/pot. The position definitely sounds great as veggies need at least 5 hours of sun a day. As for the soil, if you are planting in pots, make sure you have a good mix of compost and potting soil (50/50). Ensure that the pots are of an adequate size and allow for good drainage. Feeding is of the utmost importance, you can pick some up from your local accredited garden centre. I planted some peppadew seeds given to me by a friend. Two plants survived and now have a few fruit that looks exactly like minature green peppers - not at all like the red peppadews you buy in a bottle. Must I wait until it turns red and can you eat them raw? I have Sage "Midnight" in a largish container, but it does not look happy to me. I do feed it but it makes no difference. I wonder if it would be better in the ground. It is in full sunshine. Verbena seed like to germinate in dry conditions with limited light exposure. We water the trays after we have sown the seeds and 5 days later give them there next watering. Verbena seeds generally prefer a dryer condition when I plant them I would mist them every third day (with a spray bottle) as opposed to most other seeds, which I would mist daily! Canterbury Bells, I have lost the seed pkt, how tall do they grow, I have some ready for transplanting. Canterbury Bells grow to between 50cm and 60cm. What plant would be best to make a bonsai tree? Are there small citrus trees available these days? I'd love to have one or two but I have a tiny townhouse courtyard. I'd love to have a naartjie or mini lemon tree. The ones I remember from my parents' garden were huge. You certainly can get small lemons and also naartjie trees and they grow most successfully in pots. Generally all the fruit trees are large. There is the Calamondin Fruit tree which is ornamental and not edible. This tree stays short and is very good for pots. My lemon tree has seen better days, surrounded by paving it is not doing so well although I guess it is at least 25 years old! I think 25 years is sufficient for a lemon tree – you might consider replacing it? I wasn't successful with strawberries a few years ago... will have to try again. Any advice? Firstly, strawberries are gross feeder and require regular feeding, also be careful not to allow the leaves to just lay on the ground, I always like to put a layer of either mulch or some type of support to raise them off the ground. Do ensure they get a position that gets a lot of sun. Remembering that strawberries last for three years and then it is advisable to take cuttings from the Parent plant to replant. I have a very small garden and would like to plant a tree that is low maintenance and does not grow larger than 2m. It also needs to be planted next to a wall so it cannot be destructive with its roots. There are very few small trees that only grow to about 2m (most grow to about 4m)– maybe you should rather consider getting a tall standard shrub. Small growing trees would be: Calpurnia, Acers and Noltea. I am wanting to plant out the poinsettia I bought for indoors over the Christmas season. It is a healthy strong plant! Can I plant it is a sunny spot in my garden? Transfer the poinsettia to a shady spot in the garden with sufficient light. It can then be transferred again to a semi – shade once it has been established. My Avocado (from a pip) is about chest high but some leaves show some burn marks. It is near our compost heap - also it seems to have some water run off around it so may be a bit wet. Can I move it? And what advice do you have? Does it have a very long tap root? The brown leaves on the plant can be various things. It would be best to visit your nearest garden centre with samples of the leaves. Avocados have a shallow aggressive root system. If you would like to move it, move it on a cooler day or preferably during winter. How do I know when cucumbers are ready to pick? Also looking for the name for the English cucumber seeds? The botanical name for them is Cucumis sativus , variety English . On the back of the seed packet ail be instructions and guidelines as to how many days from germination before they are ready. They should be dark green colour, firm to touch when squeezed gently. Can you plant natal lavender tree in Cape Town? Yes you can definitely, it is a beautiful indigenous tree. I live in Kakamas, Northern Cape (near Upington so very hot and dry) and am looking for a potted creeper to cover a wire arch in front of my home. I saw the Jasminum polyanthum and fell in love with it but fear that it wouldn't survive our climate. Any suggestions? Unfortunately it has to be potted. You can definitely plant the jasmine. It is a fast growing climber and with regular feeding and proper watering it will flourish. Just ensure that the drainage in the pot is properly. We live on a farm. Summers very hot but winter months there is always frost. What plants/flowers can I plant that will survive all year round? Or that will grow again in summer? Like Cannas? Also what flowers (also that can survive frost) can I plant between my roses? Plants like Erigeron, Dietes, Chives, Ceratium (snow in summer), Lavender, Brachycome (swan river daisy) and Felicia. I seem to have a plague going through my gardern. It started with one Papaya tree where the leaves started curling. Curly leaves all over, even flowers. All my strawberries, potatoes, and several sessions of tomatoes died! I cleaned out everything, burnt everything, planted new tomatoes. When they were 1,5 meters tall, they suddenly got brown spots and died. Same with potatoes. My strawberries leaves turn purplyish, brown leaves, dark to black fruit & die! I sterilised many things including growing medium with chlorine, checked Ph, but it keeps coming. It is now winter and our main veggie time. (cooler weather) Hoedspruit. I am 99% sure it is late blight or rust. I sprayed with many things, but once it starts nothing stops it. I have photos, Can I buy seeds of resisant varieties? In between all this destruction, my lettuce grow like crazy, no problem! I plant green peppers, lettuce, tomatoes,. beetroot, strawberries and brinjals for ourselves. It could be that your soil is ‘clay’. Clay is a very heavy soil and does not drain sufficiently and can bring about a lot of various problems; in addition it could be a water problem (maybe too much water). If your soil does not drain properly it is always a good idea to dig in some river sand which will certainly help! If it is a fungus I would then suggest you bought a product call ‘BRAVO’ which is excellent for all types fungus. A further point is to always check the date on the packs of seed that you purchase to ensure they are not past their sell by. I am looking to get some Peony shrubs but I don't know if they even grow in SA. Do they grow here and where would I get them? Are they known by a different name here? Yes Peonies do grow here. If they are not available at your local nursery, you can try Hadeco Bulbs at www.hadeco.co.za, or Plant Farm in Pretoria at www.plantfarm.co.za. I would really like to grow some of this white sage for personal use. Is it possible in Johannesburg and where could I obtain the seeds/plants? Can you please let me know when will be the right time of the year to plant dahlia bulbs? Dahlias can be planted from the beginning of September through to November. Please take me through the process of planting grass,sugar beans, potatoes,pumpkin, fruit and vegetables.Tell me what kind of the fertilisers I need to use and the chemicals used to destroy the insects and the unwanted plants or weeds. To plant grass (lawn) you need to clear the area of any weeds, dig over the soil, break up the sods and rake it flat. When planting, add Bonemeal or Super Phosphate to soil and dig in lightly. For vegetables dig over the soil and add well decomposed compost and a fertiliser, like Wonder Planting and Vegetables:2:3:4. Water well once seedlings/seed are planted. If seedlings are eaten use Cutworm Bait. When planting fruit trees add compost to the soil when you have made your planting hole, also add Bonemeal/Super Phosphate. Once the trees are growing fertilise with a 3:1:5 fertiliser. Using a herbicide would depend on what kind of plants or weeds you want to destroy. Go to your local nursery or garden centre and ask them. We have recently move from KZN to Mossel Bay in the Western Cape. I have done nothing in our garden as yet because I dont know much about fynbos. We face a green belt. However, my question regards our neighbour's tree. I think it is called a Brazilian/Australian pepper tree? Is it an invader and in what category? The Pepper tree Schinus terebinthifolius is a declared invader in category 3 and although new trees may not be planted, existing ones may remain. I am wanting to grow dwarf fruit trees. What are their names, where can I find them and what should I be looking for? You can keep fruit trees small and compact by pruning them. Planting the fruit trees in containers will also inhibit the growth. Fruit trees you can try are citrus like Lemon, Orange and Naartjie. You can also try Santa Rosa Plum and Fantasia Nectarine. Do sunflowers bloom in February / March? And if not, when is their season? Thank you! Yes sunflowers do flower in February/March. My 1yr old potted roses sprang into life in September after their pruning in late July. They are floribundas. The central bloom turns brown and dies before opening, and then the other buds follow suit. They don't seem waterlogged. What should I do? The buds have a fungal disease. Cut off the buds and spray with a fungicide like Bravo. This can happen if the weather is damp and rainy. You may need to spray regularly for a while to get rid of the fungus. Do check that the soil does drain well in the container. I want to know when to plant these so that they all bloom together: hollyhocks, foxgloves, delphiniums, lupins and Canterbury bells. If they are all sown in late summer or early autumn you should be able to have them bloom late spring or early summer. What plants can you recommend I plant in my garden, which would be a great source of pollen and nectar for bees? Any suggestions that I could go and get at my local nursery? Can I plant a lemon tree and Fever trees on the West Coast? Will they do good? Plant the Lemon and Fever trees out of the wind in well drained, compost enriched soil. They need to be watered well and regularly. Fertilise with an organic fertiliser like Atlantic All Purpose which is an organic fertiliser. I have a new water feature, but now am in dire need of tips on suitable water plants and other helpful tips. It's 3,6m long, 60cm wide and 70cm deep. It's on the south western side of the house against a quite high perimeter wall. Please help! You can use the Cyperus family and water lilies. As it is quite deep you will have put the plants in pots and raise the pots until it is a few centimetres from the top of the water. The plants will not grow in such deep water. Which type of trees with non invasive roots can I plant on my boundary wall, with roots that will not interfere with the drainage system or the wall. I would like to use it for screening and privacy. Try the evergreen Viburnum odoratissimum which is a large shrub/small tree. We just bought a house in Orange Grove , Jhb. Small garden back and front. Would like to plant some trees. Which trees will you recommend? You could plant these small trees: Olea Africana, Ceratonia siliqua, Betula pendula, Rhus(Searsia) lancea, Heteropyxis natalensis. What will grow underneath a pepper tree? I have four tiny duranta shrubs where can i plant them? Try planting ground cover like Hedera (Ivy), Vinca, Wedelia, or Tradescantia. Duranta like to grow in the sun in well drained soil. Water regularly. Will u please advise me of quick growing trees to plant in my home garden for future shade as my place is new and without any trees. My area is 40m x 30m with 62% of area covered by buildings including carport and paving there too. You could try Olea Africa, Betula pendula, Rhus(Searsia) lancea OR Heteropyxis natalensis. I just love pansies. So sad because I planted some from seed and they never grew. Not sure what happened. Sow the Pansy seed in autumn when the worst heat is over, put the seed tray in a warm spot and keep the soil damp until the seedlings appear. Check that the seed is fresh when sowing. What are the best flowering plants to buy as seedlings, for a person living in Cape Town that are easy to grow & do not require much watering? All seedlings will need water to grow. Here are some of the more hardy ones. Marigolds, Zinnias, Portulaca, Verbena, Petunias. Which flowers are in bloom mid May? What to plant instead of lawn on some adequate spaces, for beauty, as I like little growing plants (say 20cm), but not too many flowering plants? Try Helichrysum petiolare, Lampranthus(Vygie), Gazania rigens, Stachys lanata, Agapanthus, Day Lilies, Ivy Geraniums, Phlox subulata ‘McDaniels cushion’, Portulaca AFRA ‘Prostrata’, Tulbaghia, Evolvulus ‘Blue my Mind’ and Euphorbia ‘Diamond Frost’. I live in Pietermaritzburg and would like information on growing dwarf citrus, pawpaw and other trees on my balcony. I'm on the 2nd floor. You can grow citrus and other trees on the balcony. The trees must get a good half-a-day sun. They must be planted in large containers in well drained compost enriched potting soil. They need to be fertilised regularly and watered well. You could replace it with ground cover. You could use Wonderlawn. If it isn’t a high traffic area you could use ground cover like Pennyroyal, Gazania rigens,Sagina, Dynondia. Will Angelonia Serena grow on the KZN South Coast? You would be able to grow Angelonia Serena as long as it isn’t in the direct salt wind. I need advice regarding water save plants in summer months in dry Western Cape. Try planting Abelia grandiflora, Carissa macrocarpa, Phormiums (Flax), Westringia, Agapanthus, Tulbaghia, Trachelospermum, Hebe varieties, and Helichrysum petiolare. Do water the plants until they are established. I am looking for a fast growing evergreen tree to plant in a corner (N-E facing) of a small garden. Would like it to attract birds. Would a pompom tree be suitable and not too expensive? It will be replacing a dying cypress. Yes a Pom Pom tree would be suitable. The price would depend on the size of the tree. You try the evergreen Syzygium paniculatum. It has an edible berry that birds love. I have a flower bed that gets sun for a few hours a day in summer. I have planted herbs there, which were quite successful, but quite lanky: I suspect due to too little sun. In winter it will get no sun and I'll therefor remove the annual herbs. What can I plant in their place? Next summer I want to plant herbs again. As we're renting I don't want to spend too much money. Mint, Parsley, Chives and Coriander will grow in the shade. We have moved into a new house where had to put up a perimeter fence. weI would like to plant a hedge on the road side part of the perimeter fence but need your advice on why type of hedge to plant. A limitation is we have 20cm of ground in front of the fence for planting as there is a loffelstein retaining wall below the fence.. In addition the soil is red, which does not appear to be ideal top soil quality. We would like a low maintenance hedge will grow and establish quickly. Please advise? Try the indigenous Tecoma. It is evergreen, water wise, grows fast and is not fussy about the type of soil it grows in. Hi, I'd like winter and summer succulents planted together once a season's flowers should go down the other flowering begins... and want to know there are constantly flowers. Please I need advice about it. I'm looking to add some "life" in my aunt's dull house for her birthday, I’d like some tips on what I could get and how to maintain. Thank you very much. If you have bright indoor light you could try Kalanchoe, Maranta, types of Cacti and succulents, African Violets, Bamboo Palm. If it is a low light area try Spathiphyllum, Philodendron scandens, Yucca, Monstera, Calathea. I would like to know what trees give nice shade (might want to be deciduous) and will thrive in Virginia in the Free State, and a Pen Root System. 2) We are struggling terribly to make vegetables grow here, the sun burns almost all dead. Green beans the season beautifully grown, but when feeding the finches all the flowers on. If we have a framework with a veil on, the vegetable garden devise, what degree (or colour) should be the shade cloth? There are very few trees that have a Tap root system. These trees are indigenous and have a smaller root system. Try Dombeya rotundifolia (deciduous) or Heteropyxis natalensis(deciduous) or Buddleja saligna. It is difficult to grow vegetables in the hot sun and the birds can be a problem. Try covering your framework with shade cloth that is 40 percent. Which vegetables will do well in my area (Centurion) when planted? Vegetables planted now that will do well are Beetroot, Carrots, Spinach, Cabbage, celery, lettuce, radish, onions, leeks, turnips. I live in Pretoria… Lots of sun; shade is damp and I so want to grow impatients in the garden. Guess pots are the answer and look for suitable half shade/sun area? Grow SunPatiens in pots. These can take half sun and shade. Hi. I want to plant a olive tree in our garden that produces fruit in Johannesburg. I have only seen Wild olive trees which do not produce fruit. Is it possible? When planting Hybrid Tea roses in May, what water schedule would be required? Thank you for this excellent service. Once planted they need a good water to get settled. Water well weekly for 4 weeks, then you can water less. When can i replant my Cymbidium orchids? The orchids are repotted every 2-3 years or when the bulbs fill the pot. Do this after it has flowered. Deciduous trees are much faster than evergreen trees. Some deciduous trees you can plant Celtis Africana, Fraxinus. Searsia viminalis is a fast growing evergreen tree. The roots of a Privet grow outwards. They are heavy feeders and drinkers. I have a lemon tree in pot and there is no sign of any diseases or pests, but The leaves of the lemon tree are curling. Could this be due to overwatering? Overwatering will not cause the leaves to curl - the leaves will start going yellow and will fall off if overwatered. There is a tiny insect unseen by the eye that can cause curling leaves. Spray with Metasystox. Good afternoon. I hope you can offer some advice. We are moving abroad in a few months time and my children want to take cuttings of the plants in our garden which were planted in memory of pets we have lost. We have a Callistemon and a Polygala Myrtifolia. If you could advise of the most foolproof way of getting a cutting and ensuring its growth I would be very grateful. Cut a healthy branch from the plant. When making the cutting, cut underneath the bottom leaf node and strip the bottom leaves, at the top cut any flowers off above a leaf node and cut the leaves shorter, dip the bottom into a rooting hormone powder(available at Nurseries and Garden Centres) and put the cutting into a well drained soil mix, water and put the cuttings into a warm place. Keep damp, do not overwater. For the Callistemon take a 5-6cm cutting and use a rooting hormone powder for hardwood cuttings. For the Polygala take tip cuttings 4-5cm long and use a rooting hormone powder for medium wood. Hi. Would love to know if Chilian Guavas are available in South Africa. Chilean Guavas (Ugni molinae) do not seem to available in South Africa. Is it still early to plant Iceland poppies seed? No it is not too early, get the seed in now. Can cherry tomatoes seedlings be planted in may in JHB? It is better to wait until spring to plant the tomato seedlings. Roses grown in sandy soil need a lot of water and they need to be fed (fertilised) well. In the hot summer weather you need to water every 3-4 days. It is good using compost, try putting a layer around the roses to help conserve moisture. Can we plant the porcupine aloe in the cold Free state? Please advise how to plant protea red ice (compacta x susannae), for Klein Brak Mossel Bay area. Plant the protea in a sunny position and where air is able to circulate around it. It thrives in sandy, acidic, well drained soil. Once planted water deeply every week until established. Yes you can plant them in the garden where they get morning sun. We have numerous conifers which are about 9+ meters high now. Some look tatty because they have dried out / lost their leaves at the top. If we were to lop them all off to a shorter height to make sort of a tall hedge, would they survive pruning off of the top branches? Yes they should survive. You should get new growth in spring. Lys van plante vir wilde voëltjies asseblief. Deel v tuin is 'n klein woud met heelwat bome. Daar is reeds uil, visarend, loerie, houtkapper en heelwat kleine voëltjies opgemerk. In Irene area. Baie dankie! Plant inheemse plante soos Aalwyne, Tecoma capensis, Leonotis, Carissa, Euryops Daisy, Hypoestes aristata. The Bay tree needs to be planted in well drained, compost enriched soil in the sun. It needs to be watered well. Do not overwater. I live in the Kloof mist belt - what do I plant during the month of June? The only vegetables you can plant are peas and potatoes. The entrance to my home is cover by a high corrugated roof. Need to plant some plants that will make my entrance to my home beautiful. It does not get direct sunlight. Any suggestions. And how should I arrange the plants from back to front. Seriously need help, the entrance looks untidy and lifeless. What type of roses (both climbing and bush type) can be planted in Zululand? You can plant Hybrid Teas, Floribundas, Shrub roses, miniature roses, ground covers and climbers. We have recently purchased a property in the seaside hamlet of Pearly Beach, 20 km east of Gansbaai and I would like to start a small waterwise garden as we do travel regularly. Can you assist me with a fynbos planting guide to a colourful garden that is also bird friendly. Fynbos likes to grow in well drained soil. Plants need to be watered well until established, thereafter they are water wise. Plants you can use are Proteas, Leucospermums, Leucadendrons, Ericas, Coleonema, Agathosmas, Elegia tectorum, Euryops pectinatus, Tecoma capensis, Eriocephalus africanus, Leonotus leonurus. Peace Lily On covered patio. Why do leaves get brown edged leaves? Over watering causes brown edged leaves. Let the soil dry out before watering. Cyathea australis prefers to grow in a shady spot in well drained, compost enriched soil. It needs regular water. Fertilise with an organic fertiliser like All Purpose Organic Fertiliser. When do I plant Marigolds please, is it after winter or can I put them in the ground now (June)? Yes you plant them after winter when all signs of frost is over. What plants can I use against the south-facing wall of my house, in an area that gets little direct sun (due to trees and carport being next to it) and also can be rather wet, with two downpipes from gutters draining into the area? Try various ferns, Rhododendrons, Fatsia japonica, Nandina domestica, Acanthus mollis, Asparagus varieties, Bergenia, Plectranthus. I am just learning how to garden, I live in morningside durban and need some assistance as to what perennial plants can be planted at this time of the year. Our soil is very sandy red soil. Add lots of well decomposed compost to your soil. Some of the perennials you can plant are Osteospermums, Gazanias, Argyranthemums, Euryops, Calibrachoa, Nemesias, Felicias, Diascia, Arctotis. Visit your local Nursery or Garden Centre for what they have available now. Why do some standard roses grow leaves onto their stems? Sometimes the standard roses do have new growth coming out on the stems. Remove the growth as soon as you see it. What plants do I plant to attract, keep and let butterflies breed in my garden? Some indigenous plants you can plant are Plumbago auriculata. Barleria obtusa, Plectranthus species, Asystasia gangetica. What causes top half of leaves to turn brown and what makes marks (Colour lightens and these marks are soft) on my pansy petals? Pansies need to be planted in well drained soil. Bad drainage and over watering could cause the leaves to turn brown. They prefer to be grown in the sun. If water drops stay too long on the petals it could cause marks on the petals. Can Guzmanias be planted out in East London? Yes Guzmanias could be planted out in a shady spot in East London. Which flowers can be planted in the shade in June? Primulas and cinerarias can be planted in the shade. What is the best soil/potting to plant Cymbidium orchids in? Orchids prefer to grow in a coarse bark mixture. What plants would be best suitable in a shaded area (under a tree thus shaded 90% of the day) We tried daisies but it all died. Impatiens, Begonias, Fuchsias, Rhododendrons, Plectranthus varieties, Viola hederacea, Mondo grass, Fern varieties. Will 5 lavender trees planted in a grove 50cm apart, north side of a driveway provide shade for cars, on the driveway, harsh summer sun of centurion? Yes they should provide shade. Train the trees when they are still young to form a head. Do citrus trees harvest at a different time to the eastern cape who are harvesting now? Citrus can be harvested from late summer through the winter. Certain lemon varieties bear throughout the year. What veggies to plant in August in Gauteng? You can sow beetroot, carrots, beans, peas, spinach, lettuce, cabbage, radish. I live in Johannesburg. When is a good time to plant a lemon tree in a container? Is it already too cold? You can plant a lemon tree in a container now if you have a warm protected area, otherwise wait until the beginning of spring. If the Protea is in a container you can plant it anytime of the year. You can plant it now in well drained acidic soil, the roots will settle over the winter and new growth will come in spring. There are no small indigenous trees with a tap root. Try planting trees that have smaller root systems like Heteropyxis natalensis, Searsia lancea, Vepris lanceolata, Buddleja saligna. The Protea flowers when dry should be cut off so that it can get new growth. It should be planted in the sun in well drained acidic soil. You can feed it an organic fertiliser. Do not dig the fertiliser in, just spread it on top. Water well, but do not over water. You can replant roses successfully. It is a good time to do it now in winter. Prune the bushes before transplanting. I have spent hours trying to find out which trees lose ALL their leaves at the Beginning of winter, in a short period of time. The reason for this is that the heat of the home should not b negatively affected.... Every article mentions Lavender -semi deciduous,(and of which I have planted 5 in close proximity of each other, and which I wrote to you about, but which will not affect sunlight), Pompon- loses only at end of winter , Wisteria- loses leaves late, etc etc.... most of the others I have read about are evergreen.! That leaves me with the Wild Pear and the Parsley: I have no knowledge of when total leaf loss occurs or whether it does. I do like vase or umbrella shaped trees but this is of less importance. Area is Midsream Centurion. Very hot summer, cold winter.... trees will have lots of sunlight. Also, when covering young trees with frost cloth, should the entire tree b covered or only the stem? Both the Wild Pear and the Parsley Tree are deciduous and total leaf loss will depend on how cold it is in autumn. Which vegetables can I start to plant now in winter in North west? And how do I encourage cabbage to form a head instead of just getting taller and taller? Onions, peas and Swiss Chard. Cabbage can ‘bolt’ if they have too much hot weather. It is better to plant them in cooler weather. How can I get my succulents and cacti to flower? They all so big but they haven’t flowered once. Most succulents and cacti need to grow in the sun and must not be over watered. When can we plant sunflower seeds in the western cape? You can plant sunflower seeds in spring as soon as the soil warms up. You can condition the soil by adding well decomposed compost to the soil in August. You can also lift the Agapanthus and Clivias and replant them into the fresh soil then. The pot must have drainage holes. Use a potting soil that drains well. Plant it with Bonemeal and use an organic fertiliser like Atlantic’s All Purpose Fertiliser. Put the pot in a sunny spot. You could use Aloe barberae, Cordyline ‘Electric Pink or Electric Flash’, Beaucarnea recurvata, try any of the ‘lollipops’ like Syzygium paniculatum or Elegia tectorum. Is July too late to plant Fairy primula (Primula malacoides) from seed? It is a bit late but if you do your flowering period will be later. I reside in Swaziland. I have purchased 2 cherry trees – Bing and Giant Heidelfinger - and I want to know the basics of planting them and looking after them. Plant the cherries in deep well drained soil that has been enriched with compost. When planting add some 2:3:2 fertiliser. Water well especially if it is hot and dry. I have had to remove a Wit Stinkhout tree whose roots were invasive. I now wish to grow trees in pots and need advice on which trees would thrive in the Pretoria area. Yes you can plant a Camellia in a pot. You could try Viburnum odoratissum, Syzygium paniculatum, Cupressus macrocarpa, Buddleja saligna. Yes you can although it is better to do it in autumn. Yes Lilacs will grow in South Africa where the winters are cold. I have an aloe garden and would like to know if I can plant a Pincushion Protea amongst the aloes? Will care for it be the same as aloes? It is better not to plant the Pincushion among the Aloes. Pincushions prefer to grow in well drained acidic soil. Pansies, Violas, Snapdragons, Stocks, Larkspur, Calendulas, Primulas in seedlings or plant perennial Daisies, Osteospermums, Gazanias, Cheiranthus. From the beginning of spring feed them with 3:1:5 SR at 2 monthly intervals and feed with Multifeed or Nitrosol every 4 weeks prior to and during blooming. Yes you can they are wind hardy. You can if you are able to remove them with the root ball intact. They prefer full sun, if the spot is too hot in summer, give them some afternoon shade. Plant in well drained compost enriched soil. Wait until August then you can plant beans, beet, carrots, lettuce, peas, peppers, potatoes, radish, spinach, tomato, parsley, coriander, basil. Try Rumohra, Asparagus varieties, Arum lilies, Acanthus, Phygelius, Rhododendron. I live on the KZN South Coast region - close to Scottburgh. Purchased a lime tree x3 years ago. It had a couple of buds and one fruit. It has grown a lot but has not borne any fruit since day of purchase. Any advice would be greatly appreciated. The lime tree likes to grow in sun in well drained soil. It needs to be watered regularly, every week if necessary. It needs regular feeding especially in late winter through spring. Try feeding with Bio Ocean. It sounds like it could be a fungus. Spray with a fungicide like Bravo or Funginex. Camellias need to be watered regularly and well when the buds start appearing and the buds normally start appearing when it is still hot and dry. It should bloom if you have cold winters. How do I cut back my acasia tree's roots when they become pot bound...? When you have removed it from the pot cut the bottom roots shorter by a couple of centimetres. Be careful that you do not cut too much of the taproot. Put fresh soil in when repotting. My vision for my garden is to attract as many insects and birds as possible and to play with a variety of colour. In my front yard I’m working towards a semi shade, forest like garden feel (with a Pyracantha, 5 Celtis africanas, a small Olea europaea (Olienhout), a Buddleja salinga and a Correa alba). My back yard is sunnier (with a lemon, peach, 3 small fig trees and a small Celtis Africana tree. A Milkweed (specially for Milkweed butterflies), Wild Dagga, Black Eyed Susan’s, Agapanthus and Arum Lilies.) – All my grey water goes into my back yard. And we have a borehole. 1. Will a Carissa Macrocarpa grow in my front yard (semi shade)? 2. Can you suggest more plants that I can plant (keeping Bloemfontein climate in mind). 1. Yes it would grow in the semi shade. 2. What about Aloes, Tecomas and Vygies. You can start growing bush beans in August in Gauteng. We are downsizing and when we sell our house (sigh) will be moving to a flat with a balcony only. However, I am already slightly involved the gardens for the entire apartment block. The garden is very shady; the bed which has the most sun is mostly filled with agapanthus and the other similar ?indigenous fail-safe plant which gets white flowers once a year. I am planning to get that bed dug up, composted and filled with a range of indigenous and other plants such as perennial basil which the bees adore. I already have a large crassula tirucali and a grey jade plant (crassula ovata), some red and yellow shrimp bushes (beleperone), cats tail asparagus fern which I’m planning to put into the bed. Leather Leaf Ferns-Rumohra adiantiformis grow in shade in well drained, compost enriched soil. It needs regular water. How do lobelias, dianthus, petunias, begonias and gazanias do on the coast? Gazanias and Dianthus do best. Lobelias and Petunias need protection from the wind. Begonias need shade and protection from the wind. Make sure that the soil drains well. A lemon likes well drained compost enriched soil. It likes to be watered well but must not be over watered. If the soil is wet deeper down it will cause yellowing of leaves and dropping off. If the soil is damp on top and dry deeper down it needs more water. Do not feed the tree while it is under stress. Anthuriums like humid conditions and the soil must be damp and well drained. They do not like direct sun. If the air is too dry and the soil is dry it could cause dry spots. I discovered your website whilst doing some research on protea plant care. I live on the French Riviera and have had a Protea Cynaroides little prince since the end of May. I have carefully read and considered the rules and yet my poor protea is just shrivelling up. First she started by getting yellow leaves, then they went brown and the flower has stopped opening and is totally drying out. I've put her in a shadier place now, my so called hospital where I put those plants that didn't succeed elsewhere. I hope she can still be saved!!! Proteas grow in well drained acidic soil in the sun where there is air movement. They need to be watered well, but not over watered. The problem could be drainage or over watering. Can one transplant a camellia and if so when is the best time? We live in plumstead, Cape Town. You can transplant a camellia after it has flowered (late winter). When transplanting try and retain some soil around the root ball. If it is a large plant prune it back. I planted daisies last year and have healthy green leaves. Why are they not flowering? What fertiliser should I be using. Daisies need to grow in the sun. Feed with 3:1:5 or Bio Ganic All Purpose fertiliser. Both Jasminum multipartitum and Jasminum angular are sweetly scented. Old or overcrowded clumps need to be divided. Plant them in the sun in well drained alkaline/neutral soil. When planting use Bone meal/Super Phosphate. Feed with 3:1:5 fertiliser. They only produce flower stalks on new rhizomes. The leaves on my Clivias are brown and have been eaten by some insect, I think. It seems to go right into the bulb. I have no idea how to get rid of this insect or bug. If treated, will the bulbs recover? It is the Lily Borer eating the leaves into the bulb. Treat with Karba Spray. If the worms have not destroyed the central part of the bulb they should recover. It should grow. Plant in well drained acidic soil. It likes air movement around it. Water well but do not over water. Check that the borehole water is not too alkaline. Would/could Clivias live in a hot-house? I have been given some Clivia seed pods and don't have any trees in my garden for shade, so Im wondering if I plant them in a pot and let them live in my hot house, will it work? Yes the Clivias would work in your hot house. Check that the soil is well drained. Water well but do not over water. Hyacinths are planted in April/May and should flower after 10 weeks. As the flower get older it does turn green. Try feeding it once a year with two teaspoons Epsom salts. Die Protea kan in a pot geplant word. Die grond moet ,n suur goed gedreineerde grond wees. Water goed maar moet nie oorwater nie. Moet nie voeding gee nie. Sorry if they are droopy and have yellow leaves they could be over watered and they will rot and die. Dappled shade from mature trees is ideal for most, though some are more sun tolerant than others. Too much shade reduces bud formation, whilst excessive heat and sunshine scorches fine surface roots and flower buds. Also keep their root zones cool through the heat of summer with a thick layer of mulch in the form of leaf mould, pine needles or pine bark. If the sun isn’t too hot and too long it should be fine. Both the alyssum and the violas should still be fine and looking good. Remove dead flowers from the violas so that they can produce new buds. Azaleas like slightly acidic well drained soil. They prefer to grow in dappled shade. They are shallow rooted, so mulch with pine bark. Water well but do not overwater. You can prune back the plant after flowering to keep it in shape and to remove dead branches. You can use the coffee grounds to mulch the plant. The orange needs to grow in sun and needs regular water, do not let it dry out. Mulch the tree to conserve moisture. Fertilise with a 3:1:5 fertiliser in July, December and March. Also give the tree some Magnesium sulphate in those 3 months. Try spraying the tree with Garden Ripcord. Early spring is a good time to prune. Prune back dead, diseased and damaged branches. Prune the bush back but not more than a third. Have they been planted out? If so they should recover, Water well but do not overwater. They like to grow in well drained compost enriched soil. If the tips are still wilted, cut them back to encourage new growth. We live in the Wilderness & have some lovely large Tree Fern specimens, which have seemed happy & given much pleasure. However, after a particularly hot humid summer & a cold dryish winter this year, they seem to be affected by some sort of borer or worm. The fronds turn brown & dry up fairly quickly after spreading. I did fertilise them this year with the “new” bounce back! Too little water if it is too hot and dry will cause the fronds to go brown, as well as if it is too cold and windy could cause the leaves to go brown. Too much sun and too much water could also cause the leaves to go brown. I have a few Clivias which are planted in pots. Some of the leaves are yellow with brown tips. What am I doing wrong? The Clivias could be getting too much water. You can plant them under the Pine tree, but you must add compost to the soil and fertilise the plants. The Clivias should be protected under the Pine Trees. It is fairly wind hardy, but do protect it from the worst winds. Yes remove the seeds from their pods. Spring is a good time to plant. Use a well drained soil mix, cover the seed lightly, water and keep them in a warm spot. If the plants were dry and it was hot they could have been damaged. I'm living in Sydney, Australia. I bought three blue Felicia plants 5 years ago and cannot find them anywhere now. They don't self seed, so is it possible for me to collect the seeds myself after flowering and plant them? Or, would they strike from a cutting? They are the most hardy and pretty little flower for our hot climate in Sydney! They grow easily from cuttings. You could collect the seed and try that too. Olive trees do grow in the PE region. Plant in well composted soil and water well until established. You can use them as a windbreak. Mission is a variety that grows well and bears well. I bought 4 fynbos plants (2 being the yellow and red pincushion) Leucospermum cordifolium in Port Elizabeth to plant in Boknes Strand/Cannon Rocks area where we live. However a landscaper said that they would all die as they are not indigenous to our area because of the alkali soil yet the soil measures in some areas at between 5 & 6 acidity. Please advise how one can change the soil if alkali to acidic. We have built new in Boknes so I don’t have a garden and trying to establish one putting in trees and shrubs on a shoestring budget. I really don’t know what grows in the area so trying my hand in everything as the area is also an extremely windy place. The Leucospermums like to grow in acidic well drained soil. Add pine bark compost or peat to the soil to make it more acidic. Also mulch the plants with pinebark. They prefer to grow with air circulation around them so they don’t mind the wind. Litchi like to grow in the sun in well drained soil. They do not like wet feet, so do not overwater especially in the cooler months. They need regular watering in the growing season. Most Proteas tolerate some frost, but the flowers may be damaged. Plant your Protea out in late spring. During first two years protect them from frost by covering them at night. My pin cushions are not doing well in the eastern cape coastal region. Pincushions need to grow in the sun in well drained slightly acidic soil. Air must circulate freely around the plants. Water well but do not overwater. Apply a mulch to keep the moisture in. Plant in well drained compost enriched soil. Too much water or too little can cause yellowing of leaves. Water so that the soil is moist but not soggy. Bougainvillea and Eugenias require regular water until established. Once established that are water wise. Your cordyline could have a fungus. Remove all infected leaves and spray with a fungicide. Check that you are not overwatering. I have a dense clump of arum lilies in a container. when can i separate and plant them in the garden. they still have a few flowers on them. You can divide them when they finished flowering. happened? too much water at one time. is it worth keeping and trying to revive? appreciate any help as I find anything like this on web. I live in SoCal, to be exact, what they call the Inland Empire, (Riverside county) an area called Menifee (California), very hot in summer and very mild winters although we do have a few 30s in Dec & Jan. right now mild days nights cool to around 57. It is such a beautiful little shrub that does not like to be overwatered. It likes well drained soil and little water. You can try and prune the green tips back lightly. If you cut into the brown stems it could die. Good Day, Could you please give me some advice on caring for my Inca Lilies. I purchased my first batch last year and planted directly into ground, shady area. They have budded but do not flower. Please help. I am in the Western Cape. Inca Lilies like to grow in the sun in well drained compost enriched soil. They do not like too much shade. Repot the Gardenia into a bigger pot in well drained compost enriched soil. Water well wait for soil to dry out before watering again. The leaves turning brown is from overwatering. Normally they are propagated from seed. Restios grow in the sun in well drained soil. Water well but do not overwater. Gardenia grow in sun or semi-shade in well drained slightly acidic soil. The Tulip bulbs might not last as they are planted in May in South Africa. They grow in compost enriched soil in the sun. It is best to plant them in pots. If they are Primula malacoides they are annuals and will die. If they are perennial Primulas you can transfer them to the garden. Plant them in a shady spot. If the leaves are dry it might die. Cut the leaves off and replant into fresh orchid medium to try and revive it. My Bougainvillea just won't grow. i think i overwatered the first one and it died, the second one has lost most of it's leaves but I have put it in the ground, out of it's pot and hoping for the best. Can you give me any advice as to what I am doing wrong? I live in Cape Town. Bougainvillea like to grow in the sun in well drained soil. Do not overwater. Wait for the soil to dry out before watering again. It could also suffer if it is planted in a very windy spot. What is the best time of the year to plant a lemon tree? Spring or autumn is a good time to plant. Cut the stems shorter(sorry the flowers will have to go) and cut the roots shorter too. Add well decomposed compost to the hole. When planting add some Bonemeal and Vigorosa fertiliser. Water well. Do not let the plants dry out completely. Roses are thirsty plants. You can use Atlantics Bio Ocean(organic) or you can use 3:1:5 fertiliser. Strawberries like to grow in the sun in well drained compost enriched soil. Add 2:3:2 fertiliser when planting. Just before bearing give them 3:1:5 fertiliser. They need regular water. 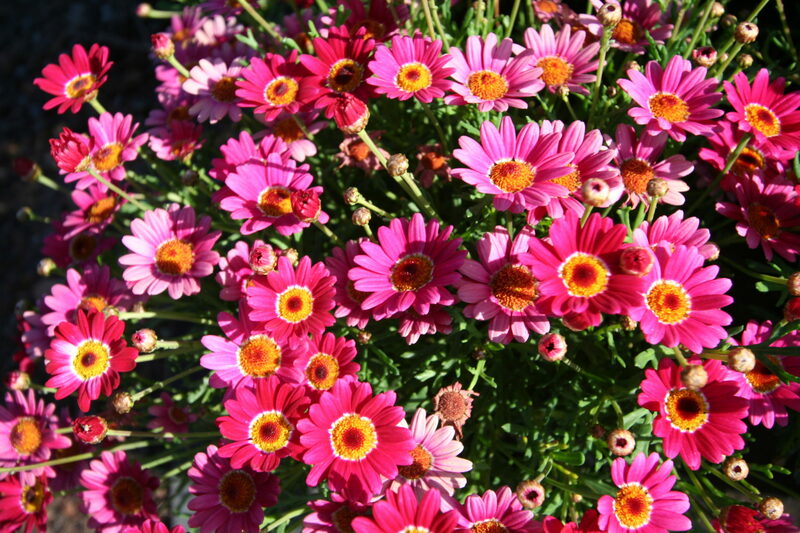 What is the best position to plant Gerberas in the Western Cape? I have not been very successful with them and I love them. They prefer to grow in a sunny position in well drained compost enriched soil. Do not overwater. My rough skin lemon tree has leaves that are curling with a white “cocoon” looking web under the leaf. The best way to stimulate conifers growth is to prune the branches back. Water well do not let them dry out, but do not overwater. They need to be planted in well drained potting soil. Do not overwater, water when the soil is dry. If planted from small pots into bigger pots, you could have too much wet soil around the plant, which cause the leaves to wilt. Remove the wilted leaves and water less. Combretum ethrophyllum (River Bush Willow) is an indigenous medium to large indigenous tree. They could be under attack by the alien ambrosia beetle that bore into the tree and cause the tree to die. Cut all dead and dying branches off. I have a big (one story high) pink bougainvillea which was accidentally clipped off its climbing wall at the top, fell and was re-attached (with quite some effort). It has incurred damage, about a third of its blossoms at the top are dead because twigs and smaller branches were either broken or cut off. I realise it was the worst possible time for it to be cut. What chances has it got of recovering, and is there anything I should do? The chances of it recovering are good. Cut all the damaged and dead wood out and cut the rest shorter, it should soon send out new growth then. Begonia elatior are grown indoors in a well lit spot, not direct sun, the room must have good air circulation. Plant in a well drained potting soil. Water well, then allow the top of the soil to dry out before watering again. Do not get any water on the leaves. Is the KZN South Coast too humid for Helichrysum silver mist, or is there a secret to looking after them? Mine always seem to die off. The Helichrysum likes to grow in the sun in well drained soil. Water when the soil is dry. Too much humidity could cause the plant to get a fungus which will cause it to die. You may be giving the lilies too much water. Allow the soil to dry out before watering again. Yes you can. The container should have ± a depth of 20cm and a wide mouth as they do spread. I have a couple of questions that I hope you will be able to provide answers. How long should it take for Polyanthus bulbs to start shooting? I planted 30 bulbs on 19 October and not one is showing. It can take up to a month for the bulbs to start shooting. Check that the soil is well drained. Do not overwater. Statice prefer to grow in the sun in well drained soil. Check that you are not overwatering the plant. Wait for the soil to dry out before watering again. Feeding with the organic fertiliser is fine. Now that winter is over what do I do with some cyclamen plants given to me in March? I would so appreciate your advice as I have never had cyclamens before. Stop watering and feeding the cyclamen when the foliage yellows and dries in early summer and rest the tuber in the pot. When new leaves appear towards end of summer start the watering and feeding program again. Please advise... Which is the best place to grow Hydrangeas (Christmas rose)? North, South, east or West? We live in Dana Bay (Western Cape) facing the ocean. Hydrangeas prefer to grow in shade to semi-shade the south or east where it is not too windy and the plants don’t get salt air on them. The best time to relocate the Buxus is autumn or spring before new growth starts. They prefer to grow in well drained compost enriched soil. Do not overwater. If the leaves are badly shredded cut them off. You should get new leaves again. You can use water soluble Multifeed or All purpose organic pellets. Do cherry trees grow in jhburg? Cherry trees do grow there. Get two varieties for cross pollination. I have a 40 cm row of Trachelospermum Jasminoides (un supported) it is planted along a walk way. I would like it to form a screen / hedge, how can I use to do this? Trachelospermum is a climber so you could put up a trellis or a fence and let it cover. If you want to form a hedge you would have to trim it into a bush and keep on trimming until you have the required height. When you prune the roses in winter cut the canes short to encourage bushiness. They do like well drained compost enriched soil. Too much water could cause problems, keep soil slightly drier. Feed the peppers with an organic fertiliser like Bio Ocean. The main flowering time is spring. If it does not get regular water, it could affect the flowering. You are doing all it needs, just check your watering. It can grow in full sun or semi-shade. It would be advisable to protect it from heavy frosts. Grow it in containers so that you can move it in winter. Can Coleus be grown in Gauteng, but covered in winter? Yes they can. Plant them in shade in well drained soil. You would need to protect them from frost in winter. It could be that the bottom leaves are not getting enough light. They prefer full sun and well drained soil and need to be watered if it is very dry. Lobelias can grow in the full sun. I have been away from my property a few years and back now. Needless to say the 15 olive trees I had have suffered badly. Some used to bear fruits and have died off and started reshooting again. However the leaves are all yellowish, they are getting regular water now, what is best to nourish and revive these trees (about 25 years old) I have read about pruning so will attempt this. there is also evidence of bugs eating the leaves (little holes) what is best to spray the trees with? Fertilise with Nitrosol or Bio Ocean. Prune the trees now removing all dead wood and spindly growth. Spray with Malasol or Karbaspray. Poinsettia will only start getting red leaves in winter again. The radishes will bolt (flower) is the area planted in is too hot and dry. In summer, it’s a good idea to use mulch to keep the roots cool, while in cold winters radishes will need full sun. Should that not be possible, grow the radishes in a container (the size of a window box is ideal) that can be kept in a sheltered, sunny place. If growing in containers, use good-quality, fast-draining potting soil. It can be mixed with some home-made compost. Keep the soil moist during germination, which should take place within 5-7 days. Bearss Lime should ripen between October and December. A mature tree can bear throughout the year. Pink Hydrangeas need alkaline soil to stay pink. Give them Pink Hydrangea Food. Blue Hydrangeas need acidic soil. Give them Blue Hydrangea Food. Petunias are annuals so they could die down after being in for some time. You could cut them back and you should get new growth and flowers. If you plant seedlings now they should last until winter. Peace in the home likes to grow in well drained soil in shade or if grown indoors a well lit spot but not direct sunlight. Keep the soil moist but not soggy. Dipladenia like air circulation around them, they don’t mind wind. They need sun to part shade. They should send out new shoots after trimming. Make sure that the branches are still green. They should grow with the borehole water. Poinsettia like to grow in well drained compost enriched soil. Do not over water. They grow in full sun but it is better to plant in part shade. Lemon can be planted anytime of the year, autumn or spring being the preferred months. It grows in the sun in well drained soil. African Violet likes to grow in bright light not direct sunlight. Water when the soil feels less moist, don’t let it dry out or stand in water. Water from the bottom with water at room temperature. You can cut them back but they will need water to send out new growth. If they are looking very sad it might be better to remove them. Are there any indigenous varieties of marigold? There are no indigenous marigolds. Marigolds are sun loving and water wise. Moonflowers like to grow in well drained compost enriched soil. They need to be watered well, but do not overwater. Feed regularly during the growing season. The position you have it in is fine. No it isn’t too hot as long as they are watered well and regularly when transplanted now. Eryngiums should not be transplanted as they have a long taproot and could die. Water well before you leave and put a layer of mulch around the plants to help conserve the moisture. I am not sure whether it is poisonous to animals. It is a declared invasive weed in South Africa. I thought Vinca was an alien plant, and that we should not be planting it? Vinca rosea is on the invader list. All the other Vincas may be planted. Are the Salvia waterwise?? I had a lovely show of the yellow ones last year but because of the severe water restrictions have not planted my pots.Trying to keep my roses alive!! Salvias are water wise once they are established. We have a huge paw paw tree. Is it possible to break a branch off and plant it separately, i.e. create another tree? My cyclamen finished blooming in October and I haven't watered it since. What should I do next? Must it be re-potted? It is a cool weather plant, so wait for it to cool down (March/April) then you can start watering it again. When you start watering give it a good soak. Can you please give me some advice on how to grow my lovely red Cape Honeysuckle into a hedge? I planted six of them about seven weeks ago in the North-Western corner close to a low wall at the edge of a raw, brand new garden. The soil is sandy. I have been fertilizing them with an all-purpose product – Bioganic from Atlantic Fertilizers. On the bag it says this product is used by Kirstenbosch. So far I have been watering them at least twice a week, and they look very healthy. I am wondering what kind of support I need to give them if I want them to grow into a hedge about 2m high, and also when I should start decreasing the amount of water I give them? Cut the plants back lightly to make them more bushy, allow them to grow and when the branches are long cut them back again. They shouldn’t need support then. Continue feeding at the recommended rate. Continue watering twice a week until the plants are well established, then you can water once a week. What do i feed Moonflowers and how much...teaspoons or tablespoons? Frequently? You can feed the plants with Atlantics All Purpose fertilizer. Use 2 tablespoons every 3 weeks. When the soil is dry water it until the water drains out at the bottom. Proteas like to grow in well drained soil so the sandy soil is fine. They do not like to be over watered. The soil must be dry before watering. It could be that you overwatered the plants. Hydrangeas like to grow in well drained soil. They like to be watered well. Do not let them dry out. Apply a layer of mulch around the plants to help keep the moisture in. I live in Pringle Bay in Western Cape. Can I harvest and plant agapanthus seeds after flowering? Should I cut the whole stem off after flowering or leave it to dry out naturally then harvest the dried out seeds? When is the best time to plant the dried seeds? Yes you can. Leave it to dry out naturally. Collect the seed when the seed head turns brown and the capsules start to burst. Sow the seed when it is still fresh. Feed your vegetables with Bio Ocean fertilizer. Watering 3 times a week should be fine. It is very hot for planting now. If you want to sow seed it will depend where you are in KZN. They should be able to tolerate some frost as long as it isn’t too heavy. Hibiscus like to grow in the sun in well drained soil. They need to be watered well and regularly in summer. Feed with a liquid fertilizer like Nitrosol. Give the bush a light pruning to encourage new growth. Plant the Poinsettia in an area that gets part shade, Plant in well drained compost enriched soil. Water when the soil is dry, do not overwater. Check that the soil mixture drains well. Water when the soil is dry. Cut off the droopy leaves. You could have a fungal disease. Spray with Bravo. Yes a Monkey Thorn has an extensive root system. 3m is quite close to the pool, but by cutting back the as you have does help. I desperately need an expert to advise me on growing a decent lawn, especially with large patches in the shade. We have tried kikuyu, then replaced in with LM for the shade. It is the 3rd time we replanted and yet it is not matting with large open patches. Plant GingerGreen seed. It grows in all soils and in the sun and shade. It could be a fungus, spray with a fungicide like Bravo. Check that the plant is not too wet. My pumpkin creepers gets plenty of flowers but no pumpkins, if they do get pumpkins they are very, very small, get yellow then rot. This also applies to my baby marrows & cucumbers, what is causing this? My lettuce never gets heads just a few leaves but never a head in the middle of the leaves. Your pumpkin, baby marrows and cucumber are getting male flowers. They need to be planted in the sun in well drained soil and watered regularly. If the weather is hot and dry, lettuce don’t make heads. They prefer cooler weather. It could be Phytophthera root rot a fungus that attacks the roots. Proteas must be planted in well drained soil. Do not over water. Do not disturb the soil around the plants. Certain varieties are more susceptible to root rot. Remove dead plants and destroy them so as not to spread the fungus. Collect slightly green seed. Soak in water overnight. Clean flesh from seed. Soak seed in water 3-4 days. Change water daily. Plant in a well drained compost mix, add some perlite. Plant seed in the soil so that the tops are just covered. Put in a warm spot. Water and keep the soil moist. Seed should start germinating 2-6 months. Olives like to be planted in well drained soil, watered regularly. Cut all the dead branches out and continue spraying for the woolly aphids. The best time is spring to early summer, if you are transplanting the best time is after flowering. You don’t have to, but if you do the plant will send out new growth. They are water wise plants and need to be watered when they are very dry. I have read a few of the answers to question you wrote and saw some questions was about small trees. I have Cross berry trees that are just beautiful, they are indigenous , grows quickly, flower, attract birds and do not have an aggressive root system. They grow to about 3-4 meters and you can prune them so you can walk and sit under them. Only problem is you have to prune regularly to keep them in shape, they grow so fast and just goes everywhere. The berries also make some mess and starts growing from the ground. I am sure you know them, I think is a marvellous tree for a small garden. I have one question though, are there different varieties of cross berry trees, I have 4 of them, 3 is beautifully, you can stand under the umbrella shape tree and they are 3-4 meters high, the other one does not go higher than 2 meters, the leaves seems smaller and it has a compact type of growth. One could see the difference since I have planted it. You do get other varieties of Grewia. The Cross-berry (Grewia occidentalis) is the one that is generally planted though. It is better to wait for March/April to start sowing bulbs. I have a tree in the backyard that is leaning forward. It's quite sturdy but looks strange, growing forward. It's the only tree and I would hate to cut it down. Please advise if I should try and support it upright. If so, how do I do this? The tree could be getting too little sun, which is why it is leaning forward. If the tree can be pulled upright you can support it with a sturdy pole to anchor it. You can prune the growth that is leaning forward and try and get the branches to grow upright. We planted new Crassula ground cover mid December last year in our new Cape Town garden – and most have died. We were told that they don’t like too much watering and don’t mind the sun too much. Was this the wrong time to plant this groundcover – should we try again in Winter – please share your thoughts? Which Crassula is it? Some Crassula like to grow in some shade. They need to be watered until established and growing well. They are water wise once established. There are different varieties of Rudbeckia, some are annual and some are perennial. Roses flower from spring to autumn. The are dormant in winter. Please could you let me know if the Berchemia Zeyheri (Red Ivory) is suitable for using as braai wood and if it is poisonous. I have asked around via the internet but no one is getting back to me. I hope that this time I will be lucky! We have not found any mention of the wood being poisonous. In fact, the bark is used for medicinal purposes and the wood is used for ornaments. The babies can simply be cut off and planted as is. Butternut need to grow in well drained compost enriched soil. Plant in a sunny spot. Water well but do not over water. My wife and I are shortly to move to SA from the UK to live. Among the many issues and details we have to arrange my wife suddenly said "Can we grown daffodils in Port Elizabeth...!!! "..she adores daffodils and we have hundreds in our UK garden which we have to leave behind ... I didn't know... unsurprisingly. You can grow daffodils in Port Elizabeth - they are best planted in a cooler spot. The best time to sow Hollyhock seeds is autumn. March is a good time. Yes it is suitable for sea air. It is a good to cut it back after flowering so that you can get fresh new growth in spring. I have recently started planting ericas and have had several plants die. Ericas grow in sun in well drained acidic soil. They like free air movement around them and regular water when it is dry. No soil disturbance. 3:1:5 slow release is fine do not overdo and the mulch is fine. Edible ginger (Zingibar officinale) will grow in Gauteng. Ginger lilies (Hedychium coccineum, coronarium, flavescens, gardnerianum) are category 1 invaders. What am I doing wrong if the leaves of my Erica go brown in summer? (Am not sure how much water to give them in summer). As your summer is hot and dry they need to be watered well and regularly. Check that the soil drains well. Star Jasmine like to grow in well drained soil. They do not like to be overwatered as this could cause the plant to die, but although water wise they do need to be watered in the hot dry summers. Adding the fertiliser is good but do not over fertilise. Cut back all the dead branches. Limes like to grow in well drained soil. They need to be watered well and regularly. Epsom salts will help to fertilise the tree, but don’t give too much, rather use a balanced fertiliser like 3:1:5 or the organic Bio Ocean. Yes it will grow there. You can try and transplant the Pin Cushion but they do not transplant well, especially if the bush is older and big. If you would like to try, remove the bush from the bed with as much soil and roots as possible. Try not to disturb the roots too much. They like to grow in well drained acidic soil. Tuberosa bulbs should be planted in spring once all danger of frost is over. They like to grow in the sun in well drained compost enriched soil. Water regularly but do not overwater. "In Gauteng, remove green growth on variegated plants like Coprosmas." Does this include windy Pringle Bay in Western Cape? Green growth should always be removed from all variegated plants even windy Pringle Bay. Roses prefer to grow in the sun where they get at least 6 hours sun a day. They are thirsty and hungry plants. They need to be watered well and regularly. They need to be fertilized at least once a month in the growing season. They grow best in a shady position, or dappled shade or morning sun. It can take up to 3 years before producing fruit. The fruit is smaller. If you have flowers and the bees hopefully you should get fruit soon. I bought three varieties of proteas (Pink Lady, Sylvia and Niobi). How long does it take before these proteas will be fully grown? I realised that it depends on the area etc. We live in Gauteng Pretoria. We have sandy soil and our borehole not to good therefore I have decided to try proteas on our one hectare garden. I did plant as recommended. Proteas like well drained acidic soil. Water regularly until well established. Once established they are water wise. It should take 4-6 years to be fully grown. They can start flowering from 2 years. Clivias like to grow in well drained slightly acidic soil. Add as much well decomposed compost to the soil. If you can find a compost that has pine bark in that is even better. Yes you can give them a light pruning, you should get new growth. Check that the soil drains well. You don’t have to prune the lime. Do remove any dead, damaged or spindly branches. You can give it a light pruning if you want to shape it. Do this in autumn or spring. It could be a fungus. Spray with a fungicide. Cut back the old flower above the leaves just under the flower. My rose bushes have lost pretty much all leaves but still green stems. Any suggestions to get them happy again? Prune back the plants lightly, fertilise them and water well. Ericas like to grow in the sun in well drained acidic soil, they like free air movement around them. Certain species can take moderate frost. Yes Primulas will grow there in the shade in winter. Are there any sweetpeas that are suitable for growing in pots? Climbing or hanging. You can grow climbing sweetpeas in pots big enough to put a trellis in, or try the dwarf sweetpeas in hanging baskets. Please can you tell me more about the indigenous tree, Combretum? I live in the Upper Highway area, Durban and wish to plant a small tree (no more than 8m - 10m) in full sun to provide some respite for some clivias from the harsh sun. It's a small area and close to the house so a small tree that allows dappled sun and not shade will do. If the combretum would work, from what I read, it sounds beautiful. I also looked at the Celtis Africana, but it looks too tall. The Combretum kraussii, would be ideal as a small tree. Celtis Africana is a large tree that is deciduous. Not sure, lifespan is about 15 years although and although drought hardy, it could have died from too little water. Can i use borehole water to water venus fly trap? Use distilled water or rain water. I have had Jasmine star vine pot plant for almost two years and this summer it started dropping flowers and leaves as the leaves turned brown. There are no leaves now and it looks dead. I placed him in the sun but it doesn’t help. Should I give it fertiliser perhaps and what is a good fertiliser? The plant has always been green. Please help. Scratch the stems and if they are still green, trim the vine back and water it. Do not feed it. If the stems are dry it is dead. I am wondering if someone could kindly tell me when Lily of the Valley would be flowering in South Africa, if in the northern hemisphere, they flower in May????? I have googled all the possible sites and no joy. Lily of the Valley do not grow well in South Africa, our soil being too warm for the bulbs, they are not easily available. What onions is the best to sow in Vereeniging? I bought a lavender bush last year September. I am still a novice gardener and will like to know whether it's a one season plant or if it will bloom again in Spring this year. A Lavender is a perennial that will flower again this winter/spring again. As soon as the weather starts cooling down you can give them water twice a week. In winter once a week should be enough. As soon as the soil is dry you should water them. The best time is in spring after they have finished blooming. Any reason anybody knows why roses do not bloom? Doing everything i should - no flowers. Last years flowers were great. HexRiver Valley. De Doorns. Western Cape. Roses need to be watered well regularly especially in the hot dry summers. They also need to fertilized once a month in the growing season. They can flower throughout the year, but the best time is in the warmer months. Plant tulips when the soil has cooled down in late autumn. Plant them where they will get light afternoon shade and morning sun. Plant in well drained compost enriched soil. When planted keep the soil moist do not let it dry out. Once the leaves have emerged water well, but do not over water. Olives like to grow in the sun in well drained compost enriched soil. They need to be watered well but do not over water. Check that the soil is dry before you water, the tree could be losing leaves as there is too much moisture around the roots, especially if there is a lot of soil and the tree is still small. Spray with Rosecare - an insecticide and a fungicide. Try the Antrap for the ants. It could be too little water, keep the soil moist but do not over water. Check that the pot has drainage holes. You can leave them through the winter and trim them in spring for new growth. In autumn once the soil has cooled down. What would you recommend feeding viburnums in KZN? They are at 1.8m tall now and I also want them to branch out (thicken up). Any tips? Sow seeds in early spring once soil has warmed in the sun in compost enriched, well drained soil. Water well, do not let soil dry out but do not overwater. They can be grown from seed but it might not look the same as the original plant, therefore it is better to grow them from cuttings. They could be losing leaves if growth is strong and no light gets to the centre. Trim the balls, cutting out any dead little branches, hopefully you will get some new growth again. I've bought a few patio Pot roses a while ago, because of painters in our complex never replanted them into larger containers. I do experience a lot of problems to keep them alive and nice. Got them inside the house at the moment, they do get white fly, etc on them, spray them with diluted dishwashing liquid. Found that the young soft leaves burn then I have to cut them off. Did find a big white worm in the soil as well. Some of the roses stems turned black and it look like it is dying? Why? I do feed them with Seagrow, spray the leaves as well. Please help. They are very sensitive to direct warm sunlight, even the wind outside, do put them near the window in the sun. If grown indoors they need bright light/sun and air circulation. They need to be watered well, do not let them dry out, but do not overwater. If you want to use a liquid fertilizer rather use Nitrosol or Multifeed. The black stems could be a fungus treat with a fungicide, if very bad cut the stems back to the green. Do not spray the plant when the soil is dry as that could burn the young growth. If you have it as a lawn and you keep it controlled on the edges it is fine, but if you let it go into garden beds it can become a problem if not removed. A 10cm pot, optimum 15cm. - When is the normal fruiting cycle? - What is the ideal feeding cycle? - What fertilisers should be used? - Are there any supplements required? Kumquat fruits from May to July. Limes fruit from April to July, Feed in July, December and March with a 3:1:5 fertiliser. Magnesium sulphate (Epsom Salts) can be used if trees start yellowing. Please tell me if I can grow a rough skinned lemon from seeds or a cutting? They grow easily from seed. No you do not cut the thorns of an Acacia tree off. Mint grows from cuttings. Plant in well drained soil in the sun. Strawberries like to grow in the sun in well drained compost enriched soil. Water well and water again when the soil is dry. Feed regularly with a 3:1:5 fertilizer or an organic fertiliser. Position in any place with bright, indirect light. Water well and let the soil dry before watering again. Do not let the pots stand in water. Feed with a liquid fertiliser once a month. Love alyssum but for some reason just won't grow for me? If you are growing the Alyssum from seed and they don’t grow, rather try seedlings. They like to grow in sun to part sun in well drained compost enriched soil. They need moderate watering - do not over water. Once established, they are quite drought hardy. Sow the seeds in the warmer months in soil that well decomposed compost has been added to. Rake flat and scatter seeds over the soil. Cover with a light layer of soil, water with a fine mist. Keep damp until seedlings emerge. They can grow in deep shade but flower less, they prefer dappled shade for better blooming. I would leave them now as they have buds forming and transplant them after flowering if you want to transplant them. The roots must be covered with soil. Orchids like to grow in bright indirect light, in bark based soil(it must drain well), Water well allow soil to dry out between watering. Do not let base of pot stand in water. They need adequate humidity especially in summer. You can leave them in the soil, if the soil drains well and it doesn’t get too much water otherwise it is best too lift them. As soon as they are dormant in the winter. I am in Namibia with a climate similar to jhb.. i have bought a lot of selecta strawberry plants to do commercially and no-one here can tell me when they will start flower. the plants are mature and well established.. look forward to hearing from you. If the tree doesn’t have an insect infestation or a disease, the most common cause is that it is growing out of its skin. Will frost kill petunias, in Mpumalanga? Specifically 'Queen of Hearts', 'Ray', 'Plush', Gioconda', 'Night Sky' and 'Falcon varieties? Most of the petunias can tolerate frost. Took over a very neglected garden with our new house in Klerksdorp and I have what I suspect is a naartjie (satsuma mandarin) tree in front garden. It's full of fruit, most still green turning orange, but the orange ones are very sour and not peeling as easily. Is it too early for them to start ripening? Why are some already turning orange and falling off the tree? Is it too late to fertilise and water regularly? (Late May) Is there any way to make the fruit sweet now? It is not too early for naartjies to start ripening now. They are probably falling off because they have not been watered regularly. They need to be watered well and regularly (especially in hot dry weather). Apply 3:1:5 fertiliser in July, December and March. Can we still plant poppies now (in May) in PE? Both the salvias and the coloured arum lily like to grow in sun. My Euphorbia fire sticks (several in a large Durban garden) remain green-yellow throughout the year. I so admire the orange-apricot colours...maybe the garden just does not get cold enough for the colour change? When is the best time to plant Leucospermum in Gauteng? Which species will you recommend? We are from Midrand area. The best time to plant is spring. The nurseries will stock the best varieties for the area. Can you let me know when is the best time to plant stocks in Gauteng? I’m not sure if they are the same as Virginia Stocks. What position do stocks like, sun/shade or whatever. It is a good time to plant stocks now, they like to grow in the sun in compost enriched soil. They are not the same as Virginia stocks, these can also be planted now. I have just returned from Israel where I was so impressed with a flowering annual that is used widespread on traffic islands and road kerbs. They are absolutely amazingly beautiful and create such a striking effect with their pink, red and white blooms. They seem to thrive with minimal care. Obviously as a keen gardener, I made numerous enquiries to identify these beautiful annuals and was informed that they are godetia. Does one plant the seed? In addition, what time of the year are they planted? If you could help me with these queries, I would be so grateful. I came across your name when I googled “godetia”. You can plant Godetias by seed now and they will flower in 14 to 18 weeks time. Rather plant seedlings and you will have an earlier show. I would like to plant white Hydrangeas but do not know what it is called? I know about the Hydrangea Macrophylla that is blue and pink. You do get white Hydrangea macrophylla. It is sun grown but grows well in semi-shade, the growth is not as compact. Proteas grow in the sun in well drained acidic soil. They like air circulation around them. Water well but do not over water. Please visit www.arnelia.co.za for the stockists of new generation plants. The best time is early spring. The best time to plant coloured arum lilies is in spring. The white arum can be planted throughout the year. It is May. The leaves of my Yesterday, Today and Tomorrow tree are yellow with dry ends. What could be the problem? It could be too little water. I stay in Melkbosstrand Western Province. When would be the right time to plant potatoes and when will be the right time to plant sweet potatoes? It can lose some leaves as the weather gets cooler, it could also be that you are giving it too much water. Check that the soil is dry before watering. You should be able to. They grow in the sun in well drained acidic soil. They like air circulation around the plants. They need to be watered well, wait for soil to dry out before watering again. You should be able to take cuttings from the trunk/branches and they should root. The cuttings should be at least 20cm long with 3 leaf nodes in the soil mix. The soil should be a light well drained mix. Keep the cuttings in a warm spot to root. Keep damp but do not overwater. You can plant proteas. They grow in the sun in well drained acidic soil. They like air circulation around the plants. They need to be watered well, wait for the soil to dry out before watering again. Poor drainage or overwatering could cause root rot. Check that you plant the pansies in a well drained compost enriched soil. If planted in a pot check that there are drainage holes. Water when the soil is dry. Cut Dietes back at the end of winter. When the seed pod is dry it should open and you will find black seed. Best time to plant is spring, but if you keep the seed tray in a warm spot they should germinate now. Plant in a well drained soil medium, put tray in a warm spot, keep damp but not too wet. You can cut the leaves short if you need to and you can take them out and store them, or you can leave them in the soil. It is better to wait until spring. It is better to wait until the second year to pick. Lemons grow in the sun in well drained soil. They need to be watered well but do not overwater. Fertilise in July, December and March with a 3:1:5 fertiliser. Clematis like to grow in a sunny spot where the roots are cool. Plant in well drained compost enriched soil. Water well, water again when soil is dry. Feed with 3:1:5 or Atlantic Bio Ocean. I live at Agulhas Southern Cape coast love pansies, planted some again this year and they are dying one after another. Dont they like sea and wind? They don’t like the salty air and the wind, try and protect them. They like to grow in sun in well drained soil. Don’t overwater. You can plant them now in the sun in well drained soil. Feed them with a 3:1:5 or Bio Ganic All Purpose fertiliser. Water well, wait for soil to dry out before watering again. Prune the plant back lightly in beginning spring and they should flower in the summer. Roses need to grow in the sun. They need to be watered well especially in hot dry weather. They need to fertilised in the growing season. Vygies prefer to grow in sun. Trim them back lightly to encourage new growth. Do not overwater them. You should be able to grow them. Plant in well drained, acidic soil. See that they are planted in the sun and that they have air circulation around them. I have an olive tree of 2 years old. Last year it bore about 10 fruit; this year nothing. Should I be pruning it and how. I live in Tylden, Eastern Cape. The weather can be very hot and very cold. With heavy frost at times. Olive trees are not usually pruned for the first four to five years. You can cut them quite short and they will send out new growth. Do remove any dead wood on the inside as this opens up the plants and helps with the new shoots. You can do it now if it is not too cold in your area otherwise wait until spring. The best time to prune a gooseberry is early spring. I have some New Guinea impatiens and they stopped giving flowers. Any idea what I can do? The plant is still healthy, just no buds. They do flower less when it gets cold. Fertilise in early spring and it should start flowering again. They like to grow in well drained soil. Check that the drainage is good. Do not overwater as will cause the leaves to go yellow and fall off. They prefer to grow in well drained soil and watered well but not overwatered. It will last for a few months and then they will die. How long do ornamental kale last because we selling them @ builders ware house but sometimes they lose most of the leaves and left with few? They can last a good couple of months before they die down. If they are losing leaves it could be that they are not getting enough sun or they are dry and not getting enough water or they are getting too much water. Which lavender will survive frost in the Free State? I was wondering if you can assist me - I want to start growing Proteas in the Nelspruit, Mpumalanga area, do you think they will grow? And if so, in what conditions does it need to be? Hope you can help. Proteas grow in the sun in well drained acidic soil. They like air movement around the plants. They need to be watered well but do not overwater. The roots should not damage the wall but if planted too close the thickness of the stem could cause cracks in the wall. It shouldn’t lose leaves all the time, irregular watering and tree being too dry will cause the leaves to drop. After the last flowers have died down is the best time, but you could still do it now. You can keep a lavender in a pot. Keep the pot in the sun. Plant it in well drained soil. Water well, wait for the soil to dry then water again. Do not overwater. Will Leptospermum Cherry Brandy survive in somewhat clay soil or should I just avoid it? You could have problems unless you add lots of compost to help improve drainage. Will a Coprosma survive in the Northern Cape (no frost where I want to plant it) but very hot and dry climate? Arum lilies like to grow in well drained soil and do not like to have their roots with constant moisture around them as this could cause root rot and the leaves will go yellow. As the cooler weather is here, they could naturally go into a dormant state where the leaves will go yellow. Take the cuttings when the plant is dormant. Cutting should be 12-15cm long. Cut beneath leaf nodes at the bottom and above leaf nodes at the top. Put cuttings into a loose well drained mix and keep damp not wet until rooted. When is the best time to plant strawberries in Gauteng? The best time is September/October. Plant in well drained compost enriched soil. Succulents need to be planted in the sun in a well drained soil mixture. You can plant them in the garden or in containers. The best time to plant sweet peas is autumn. They like to grow in the sun in well drained compost enriched soil. Soak seeds in water overnight to soften them before planting. Once they are up feed with Seagro every two to three weeks. Yes you can - you will need to stake the stems as they grow. The best time to transplant a lemon tree is late spring (you do mean moving the tree from one spot to another?). If it is in a container (bag) you plant in spring. The avocado can be transplanted in early spring. Yes it would work, use less as it has a stronger flavour. Drainage is the most important, the soil must drain well, do not water if the soil is still damp. Only repot the Spathiphyllum if it is root bound. Repot into a pot next size up from the one it is in. You can do this in spring. Use Nitrosol a liquid fertilizer to feed with. Only spray for a pest if there is one. The best time to divide the plants is after they have finished flowering which will allow them to grow for the next flowering season. The Pincushion could not be getting enough sunlight, it needs sun. Do not fertilize if there is too much nitrogen in the soil, it will grow but not produce flowers. Do not overwater. Don’t prune in the summer. Feed the plants every 6 weeks with an organic fertilizer from spring through to autumn. Keep the plants well mulched to conserve moisture. For pests spray with an insecticide for the particular insect, for mildew use a fungicide like Funginex. Yes you can. Check that the pots are not too small. Put them in the sun, and plant in well drained acidic soil. The best time to replant strawberries is April. · I have read that in order for blueberries to fruit one needs to have plants of different varieties. Is this the case with Powderblue plants? · Is it best to plant these plants in pots rather than in the garden? If so, what size pots are best. · Do they need full sun or partial sun/shade? · What soil mixture should be used? · What plant food should be used and when should feeding take place? · Any other information that I will need to generate fruit? You do not need a different variety for Powder Blue. They grow both in the garden or pots. The pots mustn’t be too small and must have a drainage hole. They prefer to grow in the full sun. They like a well drained acidic soil mixture. Use Bio Ocean organic fertilizer to feed with. I have a beautiful hedge of rosemary (named as above) and at the moment it is the most beautiful sight covered in their wonderful blue flowers but I do know that I will have to prune the bushes. I live in Pringle Bay in the Western Cape and would like to know at what stage I can prune the bushes back – not now of course as everybody stops to ask what beautiful flowers they are. I have tried the internet but not much help – do I have to wait until the bushes have stopped flowering or can I start pruning in August/September. Your help will be much appreciated. Rosemary can be pruned during spring or summer. Wait until the bushes have stopped flowering then you can prune. When is a good time to plant Basil, Parsley and Coriander in Gauteng? Sow Basil and Coriander in spring. It is good time in spring to buy Parsley seedlings. Spathiphyllum like to grow in bright light but not direct sunlight. They like well drained soil. Only water when soil is dry. Do not over pot. Try Meridian for mole crickets. The best time to plant is September or March. They like to grow in the sun in well drained acidic soil. They like good air circulation. Do not overwater. Should I still prune my roses right after planting? If they have not been pruned you can do that. Kikuyu likes to grow in the sun all the time. Try planting GingerGreen that grows in sun and shade. As soon as strawberry plants appear in nurseries the can be planted out. If you have existing plants the best time is in autumn. Can the olive tree be planted in a small garden? Yes it can be planted as you can prune it to keep it smaller. How far must olive trees be planted from your home and how high do they grow? Plant olives 4-5metres from your home. They can get 5-6 metres high, but they are slower growing and can be pruned. This is the correct time to cut but is not necessary unless the clumps are big and untidy and older than 3 years. Spring is a good time to plant it. It prefers to grow in sun but grows in dappled shade or morning sun and afternoon shade. Plant it in well drained compost enriched soil. Over watering could cause it to go mouldy. It needs to grow in well drained soil in the sun. If the leaves are shriveled and dry it could be that it is too dry. You could cut it back to try and get new growth. They like to grow in well drained soil. Water when the soil is dry, do not over water. Is September bush (Polygala myrtifolia) suitable for Gauteng? Is Calla lily the same as an Arum lily? Yes it is the same, although the Calla lily flowers are coloured. Clivias like to grow in the shade in well drained compost enriched soil. Water well but do not over water. Do not plant the roots too deeply. Feed with a 3:1:5 fertiliser. I am in Africa, West Africa. Nigeria to be precise. Please, may i know when best should beans be planted? Presently, we are in September. What type of Chemical to use for Tomato to avoid any infection? September/October is a good time to plant beans. It is best to treat the Tomato plants when they get a disease. Pincushions like to grow in the sun in well drained acidic soil. They like air movement around them. Water well but do not over water(too much water could cause the plants to grow more foliage). They don’t like to be fertilised. Cut the stems shorter and you should get new growth. You are giving your plant too much water. Allow the soil to dry out before watering. I would like some advise on planting proteas please. I bought 3 small protea bushes and must plant them. I live in Irene, Centurion in a area where sugarbush (if that is the name) grows naturally. It gets cold in winter and we have frost. I also live on a 1 hectare plot and therefore have space to plant the bushes. I have decided to plant them individually in the wild grass to make sure they do not get disturbed. We however have more rock than soil and I have started making gardening beds with potting soil to add to the lack of soil. I have decided to plant the proteas in a mixture of local soil (sandy) with some cultera top soil. I would like to add Cultera acid compost and maybe also some Cultera organic potting soil but am not sure whether I should? I have read that proteas don't like compost. Please can you maybe advise what will be the best mix to plant them in? Proteas like to grow in well drained acidic soil, so adding the acid compost to your mix is fine. If they are leggy, do cut them back for new growth. Can I plant sweetpeas now in Gauteng (September)? No, it is too late now, they are flowering already. Problem with my small wild fig tree About 4 yrs old First time now leaves turning yellow with brownish spots and then falling off? Check that the soil drains well. Spray with a systemic fungicide. It is likely that the high humidity that causes a lot of diseases, so that they don’t grow well there. Cut it back to green growth even lower and it should send out new growth. I don’t find any info that the indigenous Hibiscus pedunculatus is poisonous, but it is safer not to let the animal chew on it. Coleus like to grow in semi-shade or bright light not direct sunlight. They like to grow in well drained soil. Water when the soil is dry. Do not overwater. Celosia like to grow in sun and need to be watered when the soil has dried out. If there is still some green stems, cut the dried growth off and you may be able to save it, if it has completely dried out you will have to remove it. Betula like to grow in well drained slightly acidic soil. They like to be watered well especially in the hot summer months, but they do not like to be overwatered. They are the seed capsules and you can cut them off. You can plant them together, your orange in pots and the yellow in the ground are fine. If you want to plant the seed you might find that the colours have cross pollinated and might not be true to the original colour. Dais need to grow in well drained soil. Water young trees regularly especially in the hot summer months. Mulch around the tree to help conserve moisture. Try planting Iceberg it is a white floribunda that is very easy to grow. Water the fig well in the hot months. Feed it with a 3:1:5 or Bio Ocean fertilizer 4 times a year. Yes they should. Plant in the sun in well drained compost enriched soil. Water well. Fertilise 3 times a year. Perennial primroses that are still flowering need to be deadheaded regularly. If they have finished flowering, you feed them, tidy them up and keep them watered. Morning. Is there anyone who can help me to get rid of "Cannas" in my garden. I took them out but they keep on growing back. I want to extend my lawn to where the "Cannas" were. Cannas are grown by rhizomes and these have to be dug out, check that all the ‘bits’ have been removed. Yes they will. Plant in the sun in well drained acidic soil. Acacia can be pruned, however cutting it back by half is drastic and it might not send out new growth or it could take a while to reshoot. Spray with a fungicide and if that does not help, you might have to remove it. Water well, do not let them dry out. Feed with Vigorosa. Scratch the bark of the ‘dry’ bush to see if there is any green. If it is dry cut back the branches until you get green. If all the branches are dry you would have to remove it. Yes you can until December. You need to have both a male and female papaya. The fruit on the female is the fruit used. The male fruit could be hard and tasteless. They need to be watered well in the hot summer months. You could be watering them too much. They like well drained soil. Wait until soil is dry before watering. I am a Trustee in our complex and we have a Privet tree. One of the owners complains their garden is covered in shade due to the fact that this tree is so large and blocks her sun. She is insisting it is removed. Is it essential it is removed as I have heard it is also an Alien tree? If you suggest we do remove it, can it be moved or saved? The Privet is a Category 3 Invader and does not have to be removed but you may not plant any new trees. You can cut it down if you don’t want to remove it. If you do remove it you cannot replant it. Prune the branches back to a set of leaves. Cut the branch above the leaf nodes. Kindly advise me on how often an Impala lily should be watered... I have them in pots so that they do not get too much rain, as we had last year. (I lost one last summer due to too much water/rain). Meyersdal, Gauteng. The Impala Lily likes to grow in well drained soil in a warm sunny spot. Water sparingly in the growing period. In its dormant period give it a little water once a month. I have no success with marigolds, sunflowers and cosmos. I wonder why? Zinnias grow well. Yes the Sjambok Pod (Cassia abbreviate) should grow in George. Plant it in the sun. As it is drought tolerant, do not overwater it - especially in the winter. 6 to 8 weeks depending on the variety. Some Vygies will still flower for longer or have some flowers over a long period. If the branches are dead(scratch the bark to see if it is still green) cut those branches off and it should send out new growth. I have a pomegranate tree going two yrs it flowers but fall off. it's 2yrs old; plenty bees, pollen. What do I do? Water the tree well and regularly as soon as the new leaves appear and especially when the flowers appear, but do not overwater. Feed the tree with Bio Ocean organic fertilizer. I am interested in growing the strawberries at home in my small garden which i am planning to expand at a later stage. Can you please advise me. I am based in Matatiele EC province. Plant the strawberries in the sun in well drained compost enriched soil. I am in Durban, will a fig tree grow in our climate? What are its ideal growing conditions? The humidity makes it more difficult to grow. Figs like a sunny position with air circulation around them. Custard Apples don’t have large root systems, but the plants are quite bushy so don’t plant them too close to the wall. Cut the dead flowers off and you can cut any tatty looking leaves off. Fig trees don’t like too much humidity they prefer a drier climate. Grow it in full sun with good air circulation around it. It prefers to grow in well drained soil. Water well and regularly from September to December and water less after December. Feed with Bio Ocean the beginning of spring. Can the Wild Olive tree be planted in a small garden or pot? It can be planted in small garden or a large pot. Please give us tips on feeding and pest control of fig trees. Feed with Bio Ocean fertilizer the beginning of spring. Spray with Knox Worm or Margaret Roberts Organic Insecticide. Vinegar will kill the plant. Cut off all the dead growth and if there is still green growth it should send out new growth. The Coleus could be dying from too much water. Cut the dead growth off and let the soil dry out before watering again. The Star Jasmine could be dying from poor drainage - it likes well drained soil. Figs like to grow in the sun with air circulation around them. They like to grow in well drained soil. They need to be watered well and regularly from September to December. Feed with Bio Ocean fertilizer. When they are well established they can go without water for a few weeks, especially in winter, in summer they might need to be watered more often. The Granadilla has a lifespan of +-7 years, so it might be wise to take it out and replace it with a young plant. Proteas need to be planted in well drained acidic soil. They like to be watered well, do not over water. See that there is enough air movement around the plants. A Lavender does not transplant well once established. It prefers to grow in full sun. You could try trimming it. Once the foliage has gone yellow and it has died you can either leave them in the ground and not water them or you can lift them and store them until the new planting season. If in pots stop watering once the foliage has died and save the pots until the new season. My avo tree has been shedding a lot of leaves. I am not sure what to feed it or if the tree has a bug!!! Avocado like to grow in well drained soil, bad drainage could cause leaves to drop. Too much water can cause leaves to drop. Too little water can also cause leaves to drop. If it is Black-eyed Susan (Thunbergia alata) you are wanting to grow, it should have some flowers by end of April if you plant the seed now. Dymondia is slow growing, it likes to grow in well drained compost enriched soil, it is water wise, but needs to be watered to keep it growing but it does not like to be over watered. You could put another ground cover in the bare patches, but you won’t have a ‘uniform’ lawn, the colour will differ, also other groundcovers could grow faster. The flower does turn yellow as it get older and dies off. It could be too much water if the leaves are turning brown. Do not over water. Yes you can grow it in a container. The west sun is fine and it does not mind coastal wind. Protea like to grow in well drained acidic soil. It would have been better to use 50% potting soil and 50% acid compost. They do not like fertilizer, so don’t use any when planting. Do remove the dead protea bloom to encourange new growth. Do Peonies grow in Port Elizabeth as I never see them in nurseries. Yes wait for the flowers to stop. Plant into a well drained soil mix. Please could you tell me how to cultivate the tiny seeds from my beautiful Colombines. They've bloomed beautifully after 2 years. We live in Kwa Zulu Natal, on the upper reaches of Albert Falls dam, out of Pietermaritzburg, near Cramond. Sow the seed in fine composted soil in a seed tray in spring, keep the tray in a warm not a sunny spot, keep soil moist until germination takes place. Check that you are not giving them too much water. Flowering time of Heavenly Glory (Evolvulus ‘Blue My Mind’)? Both Forsythia and Banksia roses prefer a cold winter. They dislike the heat and humidity. I live in Central California. Sorry, this is a 10A zone, according to Home and Garden, system. High dessert, but I am close to the Ocean, so I get the marine layer of moisture. My Golden Parrot's Beak Lotus maculatus 'Gold Flame' is dropping it's little needles , I don't know what to do. If I wait, and don't water for a few days it drops needles. if I water a little every day, it drops needles. It has been very hot here, Santa Barbara. I have it in a hanging container. I am thinking of re-potting in a larger container, with sandier soil. I do fertilize every two weeks with an 18 18 18. What can I do? The Lotus likes to grow in full sun but if it is very hot give it some shade. It prefers to grow in well drained soil. It needs to be watered well wait for the soil to dry before watering again. Check the drainage. Cut back the branches for new growth. Do not repot into a very large container. Wow that is fantastic. They can get tall stems if looked after well. Sprinkle it are around the bush, you dig it in lightly or you water it in. Yes you can. Take cutting 8-10cm long from healthy stems. Remove most of the leaves from the bottom dip into a rooting hormone powder. Plant into a tray that a well drained coarse soil mixture in. Place tray in a warm lightly shaded spot. Water. Keep soil just moist until rooted. Anthuriums do not like the cold so keep them in a warm bright but not direct sunlight spot. Soil must drain well. Keep soil moist but not soaked. Yes Simplicity is a good floribunda. The best time to move citrus trees is spring or autumn. Plant in a well drained compost enriched soil. Use a rooting hormone powder for the cuttings to help them root quicker. Use Bio Ocean to feed them. Arum lilies like to grow in well drained compost enriched soil. They like to be moist but not too wet. Root rot will turn the leaves yellow. They could also be suffering from chlorosis. Feed them with Trelmix. It would depend on the size of the plant. Vriesia like to grow in small pots. If it is a young plant 8-15cm pot would be best. Often apricots only start flowering after being five years old so you are doing nothing wrong. Is Hypoestes phyllostachya ("Pink Polka Dot Plant") also known as the ‘ice cream bush’ or the ‘painted lady’ ?? If you are able to prune the trees and keep them small it shouldn’t be a problem. 1 metre from the pool and close to the wall does seem very small. They are not frost tolerant and will die in the cold, treat as an annual for the summer garden. Try fertilizing with Bio Ganic Lawn fertiliser.